The Supreme Court has ordered the Punjab IG to submit a report within one week on what happened at the Punjab CM House when the Pakpattan DPO went to speak to the chief minister regarding the Khawar Maneka case. The court has also ordered an inquiry into Ahsan Jameel Gujjar’s role in the matter. During the hearing of the case on Monday morning, the chief justice asked how a person could be transferred after a verbal order. Everyone is coming to court and lying, he observed. Pakpattan DPO Rizwan Umar Gondal was transferred after an incident involving Maneka, the ex-husband of the country’s first lady Bushra Bibi. Maneka has alleged that intoxicated police officers harassed his daughter. According to the inquiry report, released on September 1, on the night of August 5 Maneka’s children Ibrahim and Mubashara were stopped twice by the police while walking to their village, Pakpattan, to pay respect at Baba Farid’s shrine. Maneka and his daughter were present in court, as was his friend Gujjar. Chief Justice Saqib Nisar asked Punjab IG Kaleem Imam how the order to transfer Gondal was issued at 1am via a message. We have told all IGs that they are not supposed to pander to political persons, he said. Maneka informed the court that the policemen who stopped his children were drunk and harassed his daughter. If she was a poor man’s daughter they would have taken her away, he said. Justice Nisar said that they will not let the policemen who harassed the girl go. 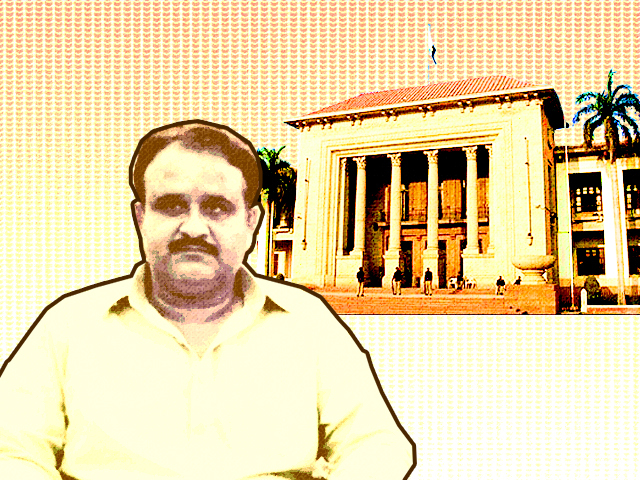 According to a statement submitted by Gondal, he met Punjab Chief Minister Usman Buzdar on August 24 and Gujjar was present during the meeting. Gondal said he informed the chief minister about the police’s altercation with the Manekas and that Ibrahim was invited to come file a complaint but he refused to come. Gondal had said that Gujjar, who was introduced as the CM’s ‘brother’ addressed him and told him to apologise to the Manekas. Gujjar informed the court that he is the children’s unofficial guardian. The chief justice said a case should be lodged against him for issuing threats. Gujjar does not hold any official position in the Punjab government. “Everything happened in the presence of the CM, so why shouldn’t we take action against him under Section 1F of Article 62?” observed Justice Nisar. He ordered the IG to submit a report on what happened at CM House. An officer from CM House informed the court that they never spoke about reassigning Gondal. However, Gondal presented messages from the CM’s chief security officer Umar proving his point. The CJ asked the CM House representatives who they are trying to save. The court said it will not interfere in the police investigation against Gondal. However, it said that Gujjar has interfered in a police matter, and ordered that an inquiry to be started against him. During the hearing on August 31, Gondal had said that he received messages saying that he should apologise to Maneka at his dera from a Colonel Tariq Faisal of the ISI, who was present at the hearing on Monday. The court has also summoned Major-General Faiz Hameed, who is the head of the ISI’s Counter Intelligence wing.